I was driving and this sight just stopped me. 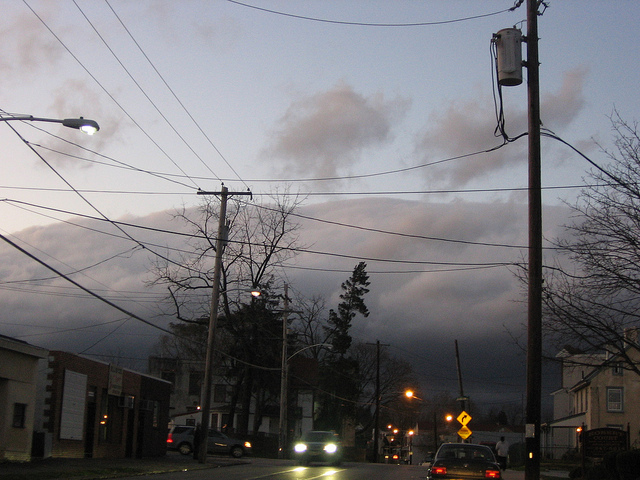 I wasn’t sure anyone else even noticed this massive cloud bank as it moved across the sky. 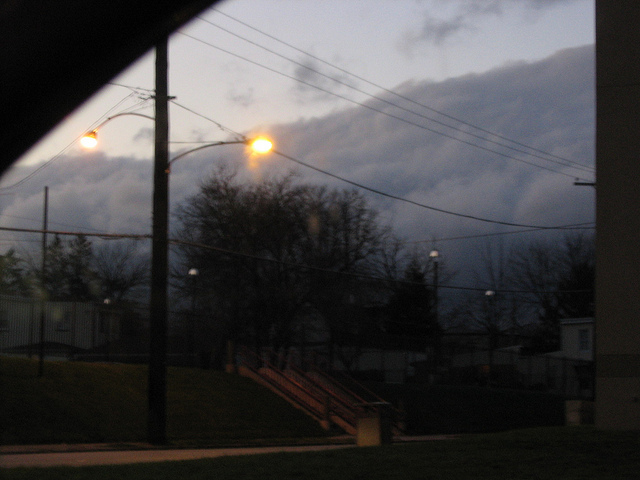 It was only 5pm, but the darkness of the clouds made it seem like 8 pm or later. As I sat and watched this cloud move by, I felt I was watching the once massive herds of buffalo that lived here in North America before the 19th century. I felt small and insignificant as I should. There are many who want to know the answer to an eternal question. What is a human being’s purpose? I think because many people shie away from the answer. To understand our purpose is to look to the other beings that share the land with us. The river flows and sustains life. It is a home to fish and crustaeans. Ducks float on top of the water. The river sustains life. A bird mates and brings forth young. To feed the young, the parent bird catches insects and feeds the young and herself. By living, the bird is doing its “job” and helps to sustain the cycle of life. Do we human beings sustain life? Some humans think our purpose is to develop the land and therefore destroy life. Development is essentially destroying the land, destroying life. Building a dam cuts off the flow of a river. The cycle of life of the river is changed. And not for the better. What is our job as human beings? A few years ago I read of an indigenous people who lived in a forest in Africa. Scientists and environmentalists charged without preserving the forest, removed the indigenous people because they could only see humans as detrimental. Well, after several years the forest was not healthy. The people were so integrated with the land, that they had a place like the ants, the birds and the trees. How miraculous is that? How we get back to that? How do we become one with the land and the birds?